Walter Owen Bentley was right, and James Bond 007 chose the wrong car. W.O. Bentley was of the strong opinion that supercharging an engine was not a good idea and that simply increasing the engine capacity and making improvements to its efficiency would result in an engine that was reliable and powerful enough for all you could desire of it. The fabled “blower” supercharged Bentleys did not win at Le Mans. 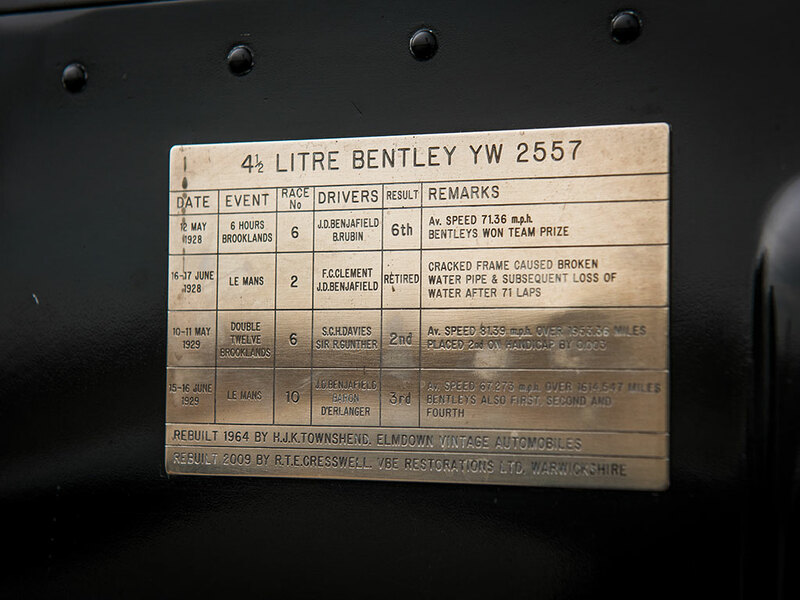 The Le Mans wins were secured by the conventionally aspirated Bentley cars, although Bugatti didn’t think they were cars and he labeled them “The fastest lorry in the world”. In Ian Fleming’s novels Casino Royale, Live and Let Die, and Moonraker, 007 drives a battleship grey “blower” Bentley with Marchal headlights. The Marchal lights were a good choice but sadly the blower Bentleys were just not reliable, not reliable enough to win at Le Mans anyway. To win at Le Mans you have to finish the race. 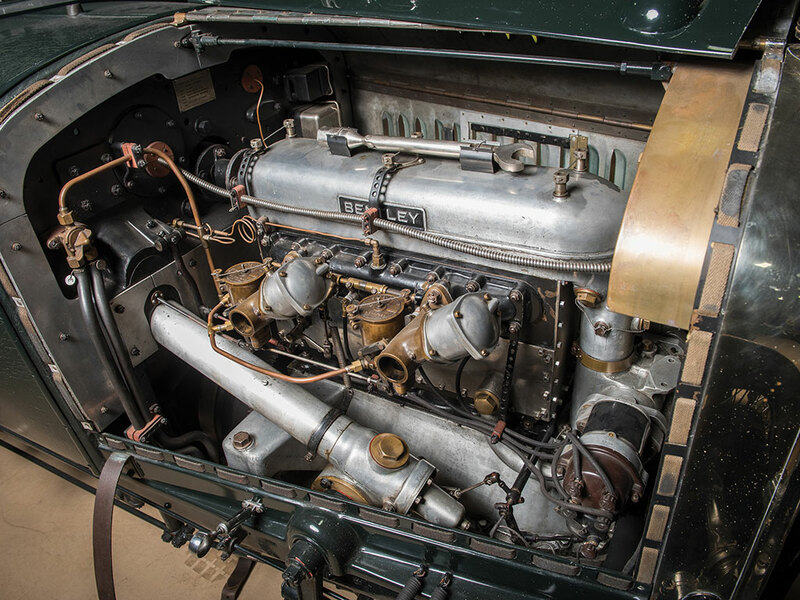 The non-supercharged 4½ liter Bentley engine with its double valves and dual ignition delivered Le Mans finishing reliability. We especially like the combination spanner mounted on the rocker cover. W.O. Bentley created his 4½ liter engine by increasing the capacity of his 3 liter engine. The bore was increased to 100mm diameter whilst the stroke was shortened to 140mm, this gave the engine a capacity of 4,398cc and a power output of 150bhp. Left side view of the engine showing the second magneto of the dual ignition system. The engine featured double valves (i.e. four valves per cylinder) actuated by a single overhead camshaft, dual ignition via two ML GR4 magnetos, twin SU “sloper” carburettors, and was an in-line four cylinder. It was kept simple, but highly efficient. Engine speed was limited to 4000rpm in order to ensure it would keep plugging along mile after Le Mans winning mile. The cockpit of the big Bentley looks like this will be a demanding vehicle to drive. It was. 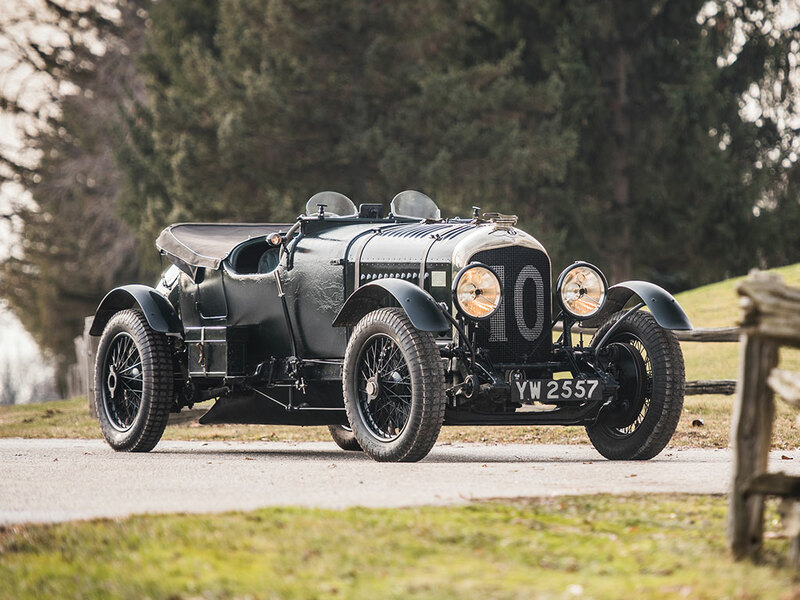 The 4½ liter Bentley tipped the scales at 3,583 lb (1,625 kg) which means it was a lot of car and with its non-synchromesh “crash” gearbox this was a “driver’s car” in the fullest sense. Pedals were laid out in the “C.A.B.” layout (i.e. Clutch, Accelerator, Brake) as was common in the twenties and thirties; a layout that some say makes a “heel and toe” gear-change easier. Suspension was by semi-elliptical leaf springs with adjustable friction shock absorbers. Brakes were cable operated drums on all four wheels. Beam axle, friction type shock absorbers, and cable operated finned drum brakes of the largest size possible. The big Bentleys were and are a car that takes a lot of handling. A driver fortunate enough to try racing one of these around a track will emerge from the experience feeling that they have really accomplished something. These cars were built in secret for the 1928 Le Mans race and they were built to 1929 specifications. This was the era of the beginnings of aviation and so aircraft technology was used in the creation of the wood and fabric Weyman bodywork by Vanden Plas. The Weyman bodywork was also favored by American car maker Stutz and indeed the Stutz and Bentley would battle for superiority at the 1928 Le Mans. The fabric Weyman bodywork encompasses the car rearwards from the engine compartment. Weyman bodywork was light, reputedly rattle free, and easy to repair. 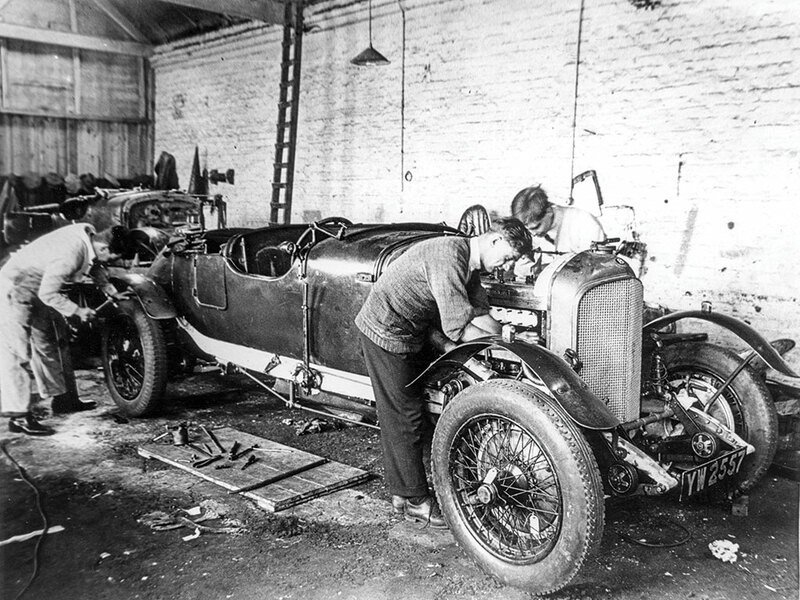 The Bentley “Bobtail” KM3088 in our pictures was the second of three cars prepared for the 1928 race season. These cars were fitted with the new single plate clutch and quick release fuel and oil filler caps. Engines were race prepared and brakes likewise. 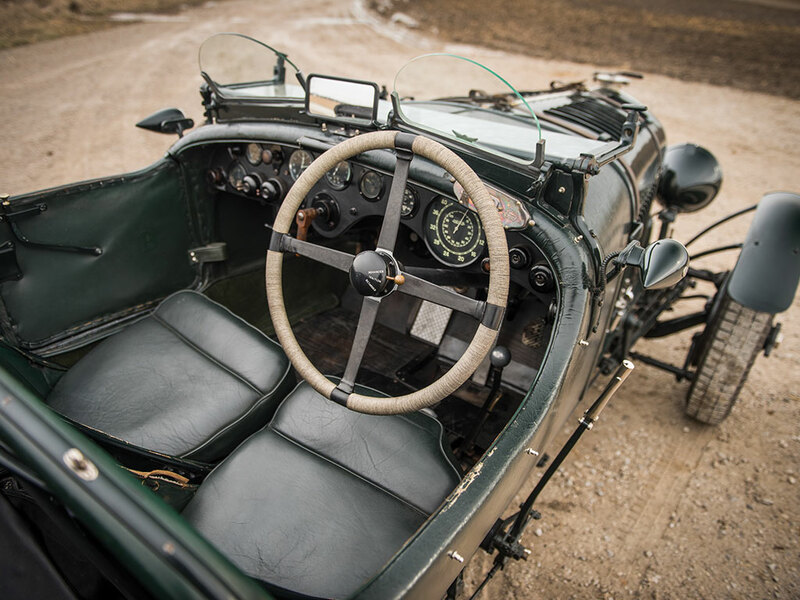 In the 1928 Le Mans race this Bentley was driven by Frank Clement and Dr. J. Dudley “Benjy” Benjafield. With “Benjy” Benjafield at the wheel the car broke the Le Mans lap record on her first lap, and that from a standing Le Mans start. Benjy and the Bobtail averaged 72.7 mph on that first lap and continued as they had started in first place and maintained that position for the early hours of the race. Success was to elude Clement, Benjy and the Bobtail in 1928 however. A cracked chassis frame caused a water pipe to break loose emptying the coolant water from the engine and with no coolant even W.O. 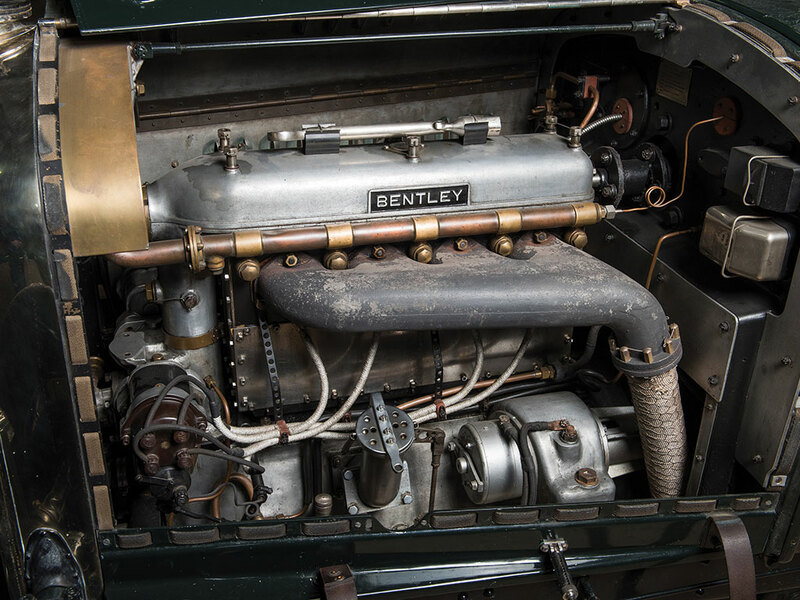 Bentley’s brilliantly designed engine was not going to win the race. The Bobtail’s sister car “Old Mother Gun” driven by Woolf Barnato and Bernard Rubin soldiered on with the American Stutz of Brisson and Bloch snapping at their heels as they crossed the finish line. Factory preparations of the Bobtail prior to her racing debut. KM3088 was repaired and prepared for a new racing season in 1929 and she went back to Le Mans with three other works entries. 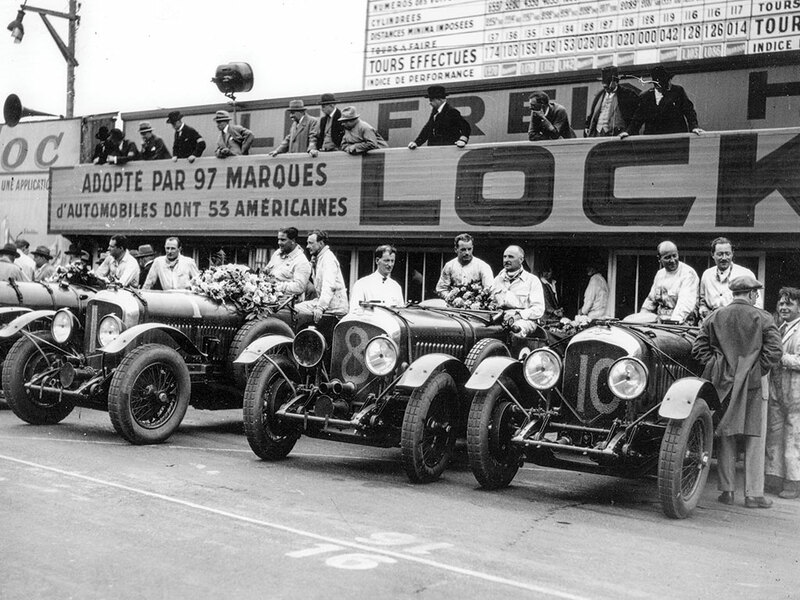 1929 was to be the year of the Bentleys with 1st, 2nd, 3rd and 4th places all going to the “Bentley Boys” and their “racing lorrys”. KM3088 finished that race driven again by Benji with co-driver André d’Erlanger. By the time the end of the race was approaching the Bobtail’s front brakes were shot and had to be disconnected, but she still placed third. Bobtail KM3088 at the end of the 1929 Le Mans. Third place on the podium. Bentley Bobtail KM3088 survived the Second World War and was refurbished. 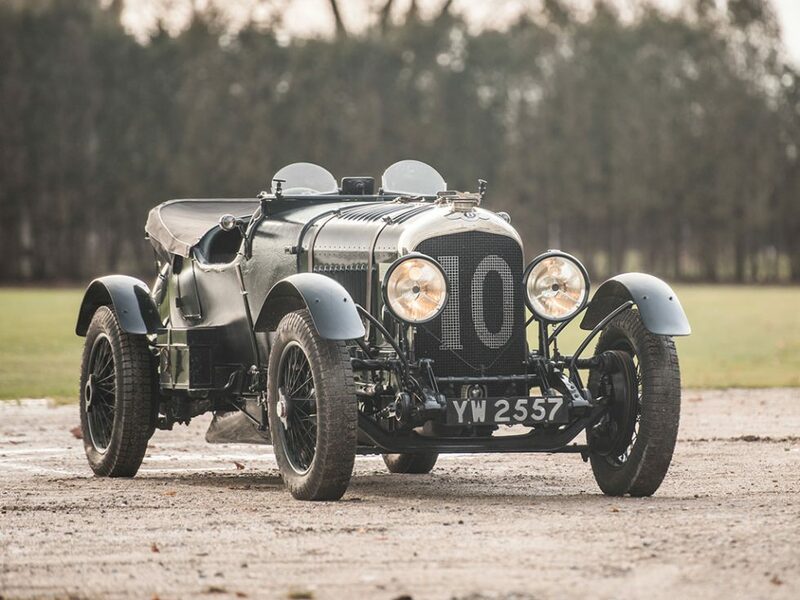 She has been a much loved classic 4½ liter Bentley for much of her life and she is now coming up for sale by RM Sotheby’s at their Amelia Island auction to be held 10th-11th March 2017, presenting the opportunity to own one of the most historically significant Bentleys extant. 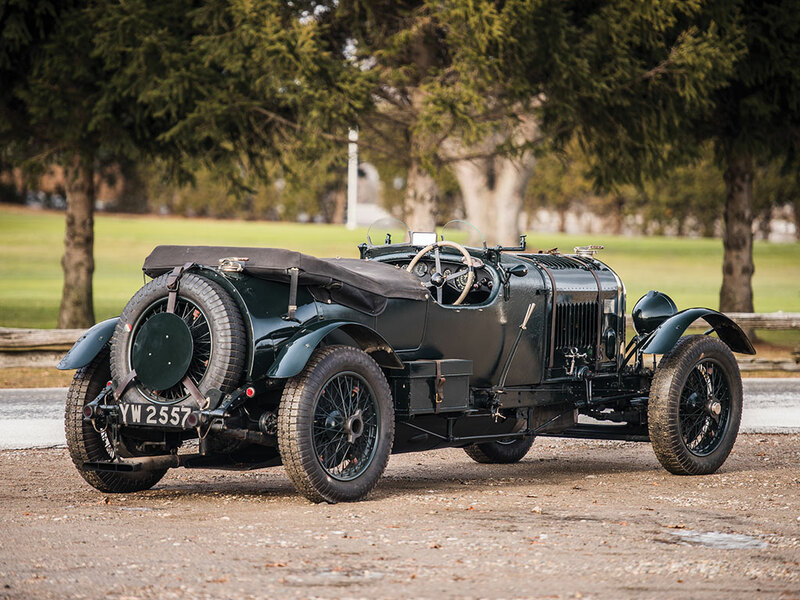 KM3088 is one of the most historically significant Bentleys extant. The story of Bentley and the “Bentley Boys” who drove them to such success is told in “The Bentley Era: The Fast and Furious Story of the Fabulous Bentley Boys” by Nicholas Foulkes. You will find the book on Amazon if you click here. 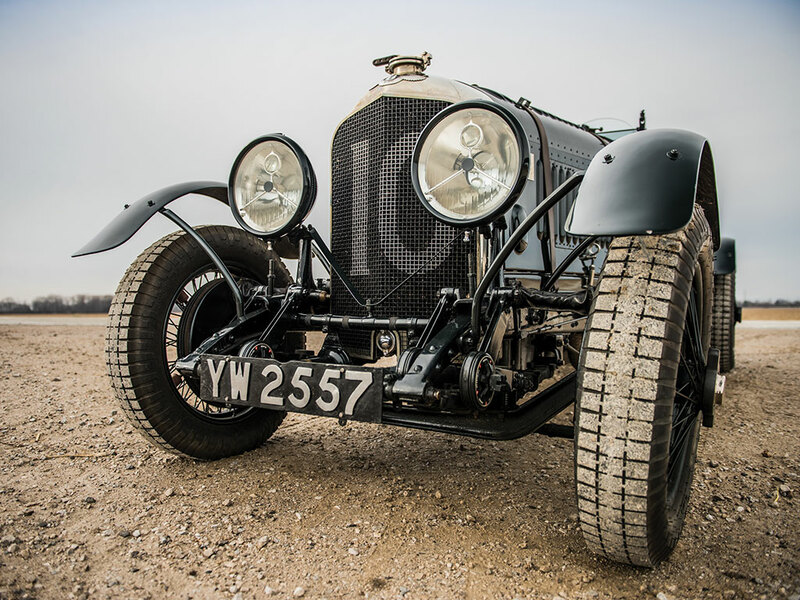 The story of Bentley and Le Mans is the stuff of legend, the history that was made that put the Bentley name at the forefront of all the cars that are linked to the 24 Hours Le Mans.